Nice to support a local luthier. Just curious how the costs came out relative to buying a production guitar? There are some pretty amazing builders in the town I live in, but mostly high end stuff with exotic woods. 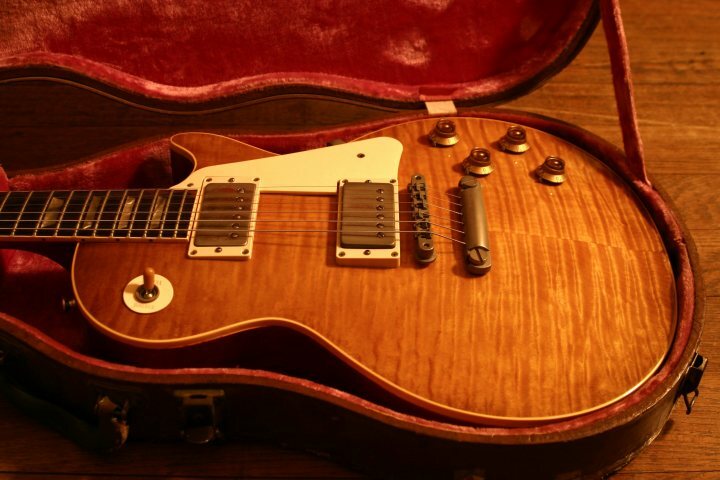 I would guess to have them build an LP with figured maple top it would cost around $4,000-5,000, but I haven't asked. Your looking at $5000 for sure once everything is said and done for sure. Would be cool to be able to design your own headstock shape and inlay/logo. I am a bit partial to the open book. Mine was made quite a few years ago. SHOW ME THE HEADSTOCK !!!!!!!! Can't speak for Phantom, but mine says what it shouldn't say on it. Which earned the builder the famed "cease and desist" letter from Gibson. I know that a few under-the-radar UK builders still do the G logo/etc if asked. Very nice ampmaker. Do you still have it?